“Neuromarketing is expensive and complicated” – this notion is the typical myth. Of course, you can pay thousands of dollars to one company to conduct the survey, another one for eye-tracking projects, hire the third one to analyze the data collected by first two and then pay the fourth one to design the research report. In such case, it will be really complicated. However, today, thanks to technology advancement there are easier and smarter ways to conduct neuromarketing research. Data collecting, analysis, and visualization can and should be an easy and engaging process. And it can be cheap too! 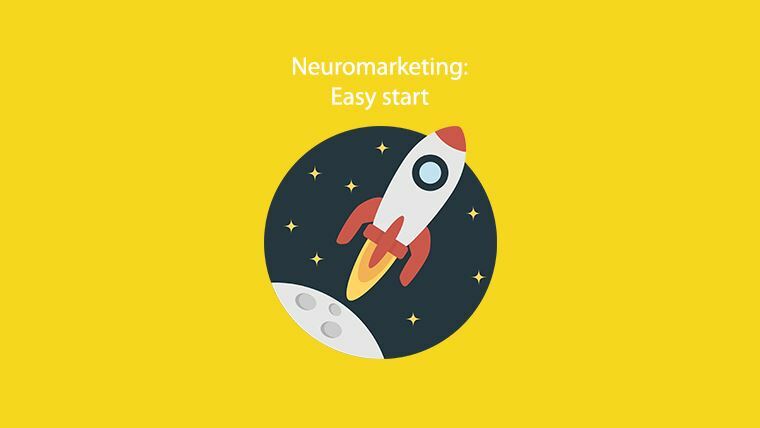 These are 3 main arguments explaining why you can start using neuromarketing without being afraid to lose time and money. Technological development has made paying thousands of dollars for the equipment a thing of the past and thus opened the era of affordable Neuromarketing research. For example, using a simple web-camera on your laptop you can conduct eye-tracking research, while an affordable EEG headset will enable you to collect a lot of data about brain activity of respondents. Low prices for hardware makes contemporary neuromarketing research accessible for all companies, including startups and SME. Even 5-7 years ago these types of businesses couldn’t afford to pay for neuromarketing research as it was too costly. Today, neuromarketing tools help them improve their products more easily and thus compete with large enterprises more confidently. The collection of information is only one part of the game. Storage and analysis is another – equally important one. It’s easier to store all the information in one place, so you can access and retrieve it whenever you need. A single neuromarketing platform saves a lot of time and money. Thanks to smart software, NeuroLab enables users to store all the information about the project as well as data collected during the course of its implementation in one place. Furthermore, it also has the function of automatic data analysis and can generate useful and informative reports about the results of the research. Affordable hardware and a multifunctional platform allow you to experiment with different types of neuromarketing research. Opportunity to “try and retry” is very important when you start using things which were previously unfamiliar to you. You can add, replace, combine, and play with different research tools and methods, observing their impact on the results of the research. Start with small projects involving 1-2 neurotechnologies, 10-20 respondents and 1 single research object (a printed advertisement, short promotional video, a page of the website, etc.) and then gradually add new tools. This will enable you to learn and thus conduct more and more complicated research projects in the future. As you can see, neuromarketing tools proposed within NeuroLab by CoolTool provide numerous advantages for those who start using neuromarketing research in their business.